From time to time, I am tempted to create a resource list of retirement resources, and I never get around to it. I really don't have to, one of the best resources around is from "A Satisfying Retirement". The following is from this page. 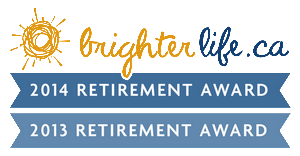 To save you some time, and with just a little bit of exaggeration in the title, I have put together this Really Big Retirement Resources Link Guide. Here you will find direct links to some websites and resources, grouped by category. These listings don't serve as a personal endorsement, but appear on several lists of the "best" in each category.